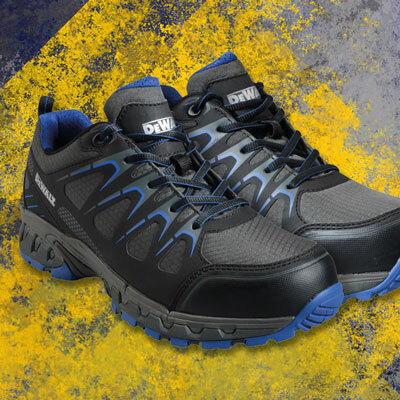 The DEWALT Darlington Trainers have a lightweight synthetic upper with a padded collar and tongue for all-day wearer comfort. The product has a removable comfort footbed and the outsole is made from EVA and rubber, as used in sports technology footwear. They are fitted with a steel toecap that has been tested to 200 joules and an anti-scuff toecap for protection when kneeling and working.